It seemed important to me to visit Cuba before it is overrun with American tourists and global businesses entering its economy. I wanted to understand the impact of years of the American economic blockade. I wanted to gain an understanding of the role of cooperatives in the Cuban economy. I hoped to conduct an assessment of how feasible it would be to bring Southern New Hampshire University students to Cuba either for short courses or study abroad. I knew that I was going to a country that has much work ahead of it to recover from the years of economic blockade. Some of the reading materials sent beforehand as well as responses of some of the group members had me concerned that some group members would uncritically embrace the presentations that group members and Cuban scholars would make to us about Cuba. While there were some people who fit that characterization, the group was largely compatible despite our ideological differences, and by the end of the time, we were sad to say goodbye to one another. Cuba has been of interest to me for many years. I lived in Guatemala and Costa Rica from September, 1974 to December, 1975. During that time, Guatemala was experiencing a low level civil war. As Americans, we were not threatened by what was happening in the countryside. Still we were aware of the violence that was occurring at the time. Costa Rica in contrast was “bucolic” by comparison. My undergraduate senior research paper was on the overthrow of the Ubico dictatorship in Guatemala. Through that research, I learned much about the recent political reality. People in the course of oral history interviews about the past, would at times share stories of the death squads roaming the country in search of dissidents and the armed guerrillas. Cuba represented a place that had successfully freed itself from corrupt old style dictators (caudillos) and a place with a clear commitment to universal healthcare and education. I did not expect that we were visiting a “workers' paradise.” But I had expected that there would be a broad based commitment to basic needs. What we found on this trip was a work in progress. For many, there is not adequate housing. Race is still a determinant of life chances for many. The socialist “project” has not accomplished what it had promised. We were to hear that the revolution is not done. The US blockade was severe and has prevented Cuba from realizing its economic goals for its people. The Cubans are in a significant transition to allow for private property, sale of real estate, proprietary businesses that are family-owned (self employment) and worker cooperatives. Our visit was to learn first hand about this transition and the economic reality that is responsible for this change. We flew into Havana Cuba on June 19, 2016 for a two-week educational trip with the Institute of Philosophy and the University of Havana. The group arriving from the USA had 18 members and with the various others who joined us, it meant the group grew to 28 by end of the week. We were met in Havana by the tour company, Amistur’s guide, Raul Diaz Romares and our driver, Angel Abraham Menendez, as well as the trip organizer, Cliff DuRand. Landing at the airport, it reminded me of the airport in the Dominican Republic where I had been many years earlier. The terminal was very basic. The air was very hot and humid. There were lots of people anxiously awaiting family and friends outside of the customs area. It had the look and feel of lesser developed countries with limited resources and reminded me of my travels to Ghana, Guatemala and the Dominican Republic. Coming through customs, I was questioned by an agent as to whether I had travelled to Africa recently. After clearing customs, I was stopped by the security screeners. They said they needed to see my passport due to a question about my bag which was a rollerboard carry-on bag. First an agent took the passport and then she moved over to another agent. She then returned and asked me if I was travelling alone. When I replied that I was with a group, she wanted to know who would be our host. When I answered that we were meeting with the University of Havana and the Institute of Philosophy, they were satisfied and returned my passport without having done any further screening of my bag. Upon leaving the airport I immediately noticed all the old American cars from the 1950’s. Raul commented that I would see lots of them and we certainly did! Since check-in at the hotel was at 4 pm. We were taken for a driving tour of Havana. First stop was the Plaza de la Revolución. There we were asked to guess whose images were on the buildings (Che Guevara and Camilo Cienfuegos). On the opposite side of the square is the Jose Marti Memorial. We then stopped to visit a park that has a statue of John Lennon sitting on a park bench. People are able to have their picture taken with some borrowed round lens sunglasses with John. From the park, we drove along the Malecon, a roadway along the Cuban coast, past the US Embassy and the Parque de Dignidad and Anti-imperialist platform which adjoins it. I am told that Fidel Castro had ordered the construction of a line of flag poles in front of the US Embassy to block the staff’s view of the ocean. At the far end of the Parque de Dignidad is a statue of Jose Marti holding a child representing Elian Gonzalez, who in November 1999, survived a clandestine boat journey. The boat sank killing his mother. His American relatives wanted to keep him in the states but eventually he was returned to his father in Cuba. We then went to a restaurant for lunch that is a cooperative, called El Biky. The restaurant is relatively new, and clearly has had a lot invested in the physical plant to make it attractive. We had a lovely lunch with mojitos, a mix of rum, lime and mint, considered Cuba’s national drink. After the meal, we headed to the hotel to check in. We were on our own for the evening. Monday, the 20th, we began our program at the Institute of Philosophy. We were told that they had arranged for us to have lunch at a palador (private restaurant) with a great view of the city. Again we would have to individually pay for our meal but would not be able to select what we would eat. The food was good if you ate meat but too limited for vegetarians. The price was 12CUC. By the end of the first week, I was struck by how uniform the menus in restaurants were. I speculated that since except for the paladores, they are all state-owned and run, that there is not an incentive to create a competitive offering for the state-run restaurants. Another observation was that the streets and walkways were in very bad shape and litter was a frequent sight. John Curl and I walked downtown to Old Havana along the Malecon after the educational program ended on Thursday, June 23. We had returned from a lunch at a privately-owned restaurant that was started by a Catalan woman and her Cuban husband. She had worked in Latin America in cooperative development. They decided to start a restaurant when they settled in Cuba. She spoke to us about their decision to open the restaurant and how they were attempting to employ “new methods of management” but would not turn it into a cooperative. They had invested a lot into the renovation of the building. The bathroom was probably the nicest I saw while in Cuba. The cuisine is Spanish. During the first two days morning presentations were delivered by Olga Fernandez Rios. Olga had served as a diplomat in Washington before she served as the director of the Instituto de Filosofia. She is now affiliated with the Institute and with the university but no longer is directing it. Olga spoke the first day on the topic of the Complexities of Socialist Transition. In the afternoon, we visited a cooperative, Confecciones Modelos that is a “cut & sew” operation where they make clothing. The work area was dingy and lighting was not great. All the work was being done by women. This was a conversion of a failed government-run operation that is two years old. It reminded me of a 2010 Venezuelan film, Habana Eva, about a seamstress who wanted to become a fashion designer. The main product is Guayabera shirts and dresses. According to the manager, everyone is earning the same. There are 40 employees. On Tuesday, we started the day again at the Institute of Philosophy. Olga lectured us for two hours since the scheduled person was not able to speak due to emergency dental problems. So instead of a panel, our only presenter was Olga. This session was an overview of the Cuban political system. Again she indicated that she wanted us to hold questions till the end of her lecture. This time people grew impatient and insisted on raising their hands for questions. The result was to create a dilemma for me since I had about three questions by then and had started jotting them down in the margin of my notes. Throughout the two weeks, I felt that the Cubans were not engaging us except in the presentation of their work. Q&A’s were dominated by the Americans even in the second week which was supposed to be a collegial “encounter.” I only observed one instance where a Cuban asked questions. The meetings with the cooperatives across the first week sounded consistently the same in their description of their co-op and its operation even though the business activities varied. The exception was the Bamboo Center which is a “project” not a co-op and from the description by the director, I would characterize it as a workforce development organization with aspirations to operate as a social cooperative. The workforce challenges reminded me of the study tour I organized to northern Italy and the cooperative, La Rupe near Bologna. Both are working with populations that need basic skills development to work in a business including addressing issues of emotional wellbeing and personal hygiene. The Bamboo Center has 6 – 8 employees (currently 6) and a division of labor with operators and assistant operators in the production work. Operators earn 10,000 CUP (400 CUC) and assistants earn 1000 pesos. Design work is done by students from two partners, a US group from a Virginia state university and a Cuban school of design. After the visit to the Bamboo Center, we walked through Chinatown. It was in the final stage of renovations with a planned reopening celebration a couple of days later. Wednesday had the best set of presentations. We heard from Humberto Miranda, who has been working with cooperative development. After his talk in the morning, we had lunch at a cooperative restaurant and then visited Cooperative Rutera 2 which is a bus transport co-op. After the visit to the bus co-op, we returned to the restaurant and had a presentation by the manager of the restaurant and then four young men who are starting a bakery co-op. Olga indicated that there will not be displacement of people in Old Havana as they do the redevelopment of the area. She indicated that they do not want to see the type of changes that have occurred in Old San Juan Puerto Rico. The changes are to be counterbalanced by income taxes, and the elimination of the ration cards. Since the program ended early, a group of us decided to visit the Museum of the Revolution in the afternoon. Most interesting was the information about the attack on the Moncada Barracks and then the Bay of Pigs and Cuban Missile. I had not studied the Cuban revolution so the details of the beginning of the revolution was new to me. The Cuban Missile photo was paired with information detailing what the Cubans wanted and how it differed from the Soviet terms to end the standoff. The Cubans wanted the United States to give up the Guantanamo Naval base. Saturday was the trip to Matanzas, a province 56 miles east of Havana in the northern shore of Cuba known as the birthplace of danzon and rumba. It was so good that we got out of Havana. If we had not left the city, I would have thought the country was covered with litter. In fact, once we got out of the city, we could see how well people tended to care for their public spaces. It was also great to get a feel for how the city compared to rural areas and small towns with regard to resources. Matanzas has a port and had a freighter moored the day we went there. There was a sailing regatta of sailboats that looked to be of a sunfish class and design. Two different groups could be seen in the harbor. Matanzas is a smaller city with narrow streets rising up from the harbor. The highest point is where we visited a newly-formed cooperative restaurant. It is located overlooking the city and the valley with views in two directions. There is also a cultural center that once was a Catholic chapel founded by nuns from Catalunya in the late 19th C. Our group was less impressed with the chapel since we had wanted to visit the Museum of Slavery in Matanzas. There would have been time to visit it but our tour organizers did not work on our behalf to insure it was included in the program. By evening we were back in Havana. It was a good evening to hang out in the garden of La Nacional with a light supper and a drink. We were led on a walking tour of Old Havana by Raul on Sunday morning. The first stop was the Artisan Center where a number of people bought Cuban cigars and some also bought rum. We were then taken to a multi-unit residential building that Raul says is slated for redevelopment. He said we could walk into it to see it. A resident, an older woman, invited me into her apartment. It had no windows to the outside – just onto the interior hallway. It was very small. The kitchen was also the bathroom with a shower and toilet. The sleeping loft was up a narrow staircase which was more ladder than stairway. I asked her if she knew that her building was slated for renovation. She knew nothing about it. This was the most significant part of the walking tour. The housing was very substandard but probably not as bad as some other places that we passed in walking around Havana. Given the intense heat (33°C.) and the high humidity, it was hard to imagine how people could tolerate living in such a place. The rest of the tour included four plazas and discussions of notable sites along the way such as a bar and a hotel where Hemingway would hang out and write, the Cathedral, and Central Park. Street life is a major part of life in Old Havana. We saw many street musicians busking in parks and near hotels and restaurants. When I remember Havana, it will always be with the music. So much of the music played is music that was made famous by the Buena Vista Social Club recordings. Just like the old 1950’s cars, the music is a commodity that is a means to securing income from the tourists. Except for a family owned restaurant near the hotel, everywhere we went had live music performed. The program for the second week was structured around morning presentations of papers – four per session with two from Cubans and two from members of our group. The afternoon visits included two tourist sites, the Fuster Gallery and community art inspired by Gaudí’s work in Barcelona; and El Bosque Martí . The community art was well worth the visit. I observed that Fuster’s work resulted in other artists developing galleries/shops on the street. The second visit was west of Havana in a rural area. The site is more aptly an arboretum that has lovingly been developed by a local gentleman “campesino”. His vision was to create a place that included all the types of wood in the yacht used by Castro, the Granma as well as plantings significant to Martí and to Cuban horticulture. We were taken on a tour of the site just after a heavy rain. We left with heavy mud on our feet. I also found in looking through my photos from the visit, that the pond on the property had more than ducks. That appears to be a Cuban crocodile. There were two meetings with co-ops. Due to a sprained ankle, I did not participate in the visit to the accounting co-op. Many members of our group considered it the best of the co-ops visited. The National Cooperative Business Association delegation also visited this co-op and spoke highly of their understanding of what it means to be a cooperative. People indicated that there was signage in the office about themselves and about what is a co-op. The final visit was to El Biky for a discussion of how it was formed as a co-op. Questions from group members with little understanding of the business resulted in a number of odd questions that reflected badly on us as a group. There were group members who were disrespectful, firing questions before the speaker could finish answering a question. Some of the questions came across in a challenging and confrontational tone. Our host was very patient with it all. We learned that they have utilized private financing as well as member contributions in developing the business. The co-op has prioritized financing a second restaurant over allocation of profits to themselves. They consider the creation of more jobs to be a priority. Members have been recruited through word of mouth. The one problem that I saw and experienced with the restaurant is that waiters are compensated based on how much they are able to sell items from the menu. I had observed problems with our dinner order on two separate occasions. In both instances, the order that arrived was incorrect and more expensive than what we had ordered. The first time they insisted we had ordered shrimp cocktail and when we told them that no one had ordered shrimp, they then brought out a second shrimp dish but not the less expensive chickpea dish we had requested. When the chickpeas finally arrived, they had meat. We had asked if it was vegetarian but were not told that the dish had meat. The second time, when I ordered a pasta dish with a lobster sauce, I was told the dish came with no sauce and therefore she brought me a whole lobster with no pasta and a charge that was double what I had planned to spend. The younger members of our group gained a lot from the study tour. The Cuban hosts were much more interested and engaged with them. We saw a group of young Americans at the Instituto de Filosofia for a program of studies there during our first week. Our Cuban colleagues were clearly comfortably interacting with them. Students can learn a lot about the Cuban revolution and the challenges that they have faced during the US blockade. An extended period of study would offer opportunities to learn about how they have developed urban organic agriculture. They could study about the Cuban political system and the role of civil society. There is much that can be learned about Cuba’s educational system. It is also a society that has developed a distinctly different approach to general medicine given the lack of access to technology. Christina Clamp (“Chris”) is a professor of sociology and the director of the Center for Cooperatives and Community Economic Development at Southern New Hampshire University. Christina serves on the board of the Food Co-op Initiative, an organization dedicated to developing new food cooperatives in the USA; the board of the ICA Group, a developer and technical assistance provider to employee owned and worker co-operative businesses and LEAF, a community development finance institution which provides financing for housing and food consumer cooperatives and worker cooperative. Christina earned her bachelor's degree from Friends World College where she first studied co-operatives in the American South, India and Central America. She went on to complete her MA and Ph.D. in sociology at Boston College where she studied worker co-operatives and employee ownership including her research on the Mondragon Cooperatives in the Basque region of Spain. 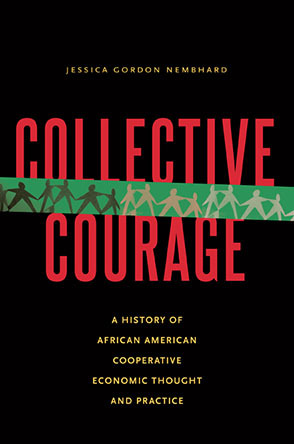 That research entailed 50 interviews with managers and the founders of the cooperatives. Follow up research was conducted with the same cohort of managers in 1998. Case study research was conducted in 2003 about the retail cooperative, Eroski. In addition she has led study tours to the cooperatives in 2002 and 2011. Her recent research has focused on worker cooperative entrepreneurship and the development of an inventory of cooperative educators and co-op educational resources. She has also been actively involved in promoting undergraduate community based research with community partners in NH. Her latest research is examining the use of shared services co-operatives in the USA.